To assist your riser and meter set installation, Honeywell Perfection offers a variety of prefabricated meter sets, mounting brackets and tools. 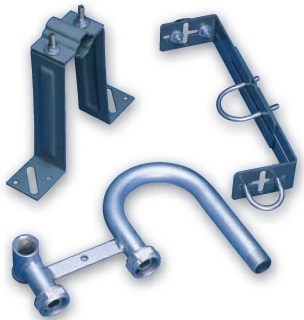 Our wall brackets and universal brackets are constructed of hot-rolled commercial grade steel for use above and below ground. Chamfering tools and snippers simplify installation and essentially eliminate the need for additional tools. Wall Bracket, 1/2" to 2" IPS Risers..
Chamfer Tool, ½" CTS x ¾" IPS..
Chamfer Tool, ½" CTS x 1" CTS..
Chamfer Tool, ¾" CTS x 1" CTS..
Chamfer Tool, 1" IPS x 1¼" IPS..